The Panama Canal signed a Memorandum of Understanding (MOU) with Port of Itaqui, located in the northeastern region of Brazil, to promote the shipment of grains and other cargoes in the commercial route between the north of Brazil through the Panama Canal to destinations located in the Pacific Ocean. The Port of Itaqui, located in São Luís, Maranhão, is the Brazilian port closest to the Panama Canal and has the infrastructure and connectivity necessary to move these exports to markets in Asia. 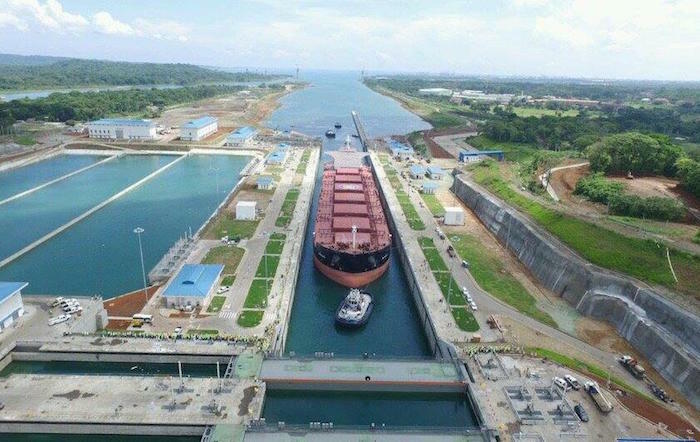 With this agreement, the Panama Canal looks to promote the use of the Panamax Locks for grain transits originating in northern Brazil and traveling to markets in Asia. “We look forward to a very productive relationship while we work together on our mutual objectives of improving and facilitating global trade,” said Panama Canal Administrator Jorge L. Quijano. The agreement will allow the Panama Canal and Port of Itaqui to conduct joint marketing activities and exchange market studies and information on trade flows to support modernization and improvement programs. “This agreement is very important to enable the handling of grains to Asia through the Canal, providing even more competitiveness to Itaqui and already contemplating the growth of grain handling by the northern arch of Brazil,” said Maranhão Port Administration Company President Ted Lago. Today, Brazil ranks among the main producers of grains worldwide and growth prospects are encouraging. In 2017, the port moved 19.1 million tons of cargo, becoming an important logistic corridor for the central-western region of Brazil. The MOU’s signing comes at a time when Brazilian grain exporters are enjoying considerable increases in shipment volumes. From a Panama Canal traffic standpoint, dry bulk vessels transporting grains and other dry commodities accounted for roughly 22.2 percent of the waterway’s total oceangoing commercial transits during its fiscal year 2018, which covers the period from October 1, 2017 to September 30, 2018.